Transcend & Include: Sacred Minimalist Music: Arvo Pärt vs. "Call the Midwives"
Sacred Minimalist Music: Arvo Pärt vs. "Call the Midwives"
Knowing nothing about the Estonian minimalist composer Arvo Pärt, I was drawn to a recent concert of his music by this paragraph in a Washington Post Review. In most of his music, he uses a technique he calls tintinnabulation, which juxtaposes a melody, generally moving from one adjacent note to another without big interval leaps, and its associated triad, the three notes of a chord (do-mi-sol). There’s a trippy inexorability to this technique’s forward motion, which balances a sense of fragility against a sense of purpose, a focus on minutiae against an eye to the whole. Wow. Not only did I want to experience that, I thought perhaps I already had. 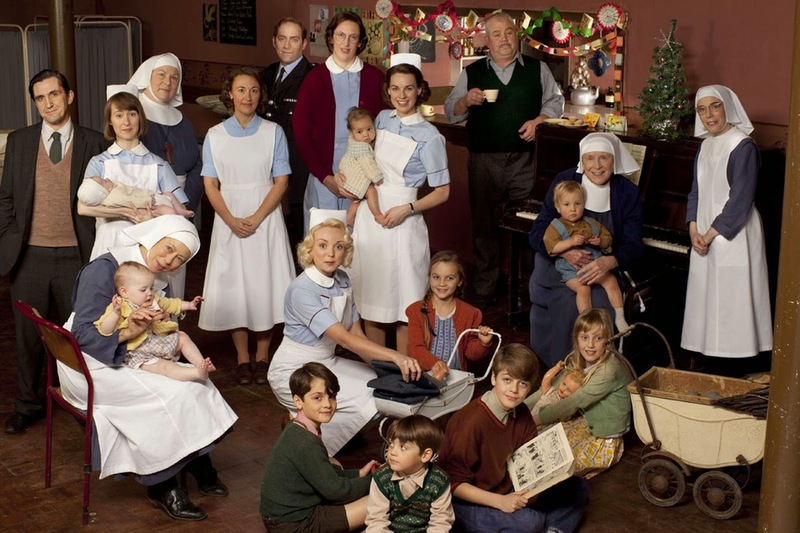 I was watching the BBC TV series "Call the Midwives." In a 1950s London slum, secular nurses serve side-by-side with nuns, living in the nuns' convent. 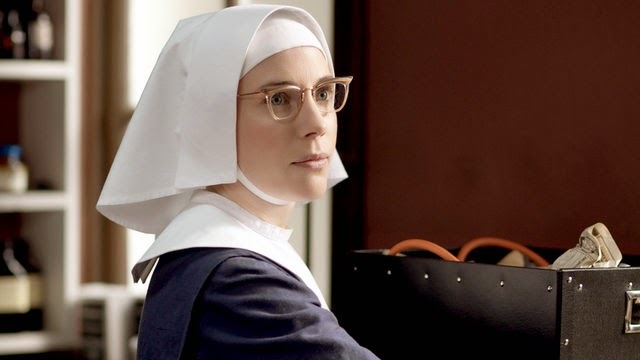 Each day before the nurses go out to serve poor women in bad conditions, they pass the chapel where the nuns are singing their morning offices, usually just a plainsong version of a psalm. There's a haunting quality and an ambiguity in the nurses reactions: mildly jealous or glad they're spared the ritual? But theses are no chirpy "Singing Nuns." Babies die, women are beaten, and the music reflects awareness of that suffering. In the stunning Christmas episode of the first season, we hear the plainsong out of the convent. A nun and a nurse are bathing a homeless woman who may not have bathed in years. We begin to hear a psalm, and up behind it comes a continuous tone. Bubbling up from the continuous tone are three notes. The effect is increasingly haunting, compelling. 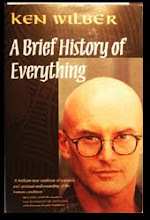 Definite "trippy inexorability." The scene becomes a sacrament. I thought perhaps Arvo Pärt's music would be like that -- perhaps even that Pärt had written the piece in "Midwives." But no, nothing in the concert affected me like the TV scene had. Pärt's work does take the expression of mournful to new heights. Here's a Youtube comment on his requiem for composer Benjamin Britten. when your heart is blind, deaf, silent, just cold.. The totally ironic thing is, I did not realize it was a requiem while it was playing. What I heard in its mellifluous cacophony was the coming destruction of civilization made bearable by the increasingly insistent tolling bell of Grace. 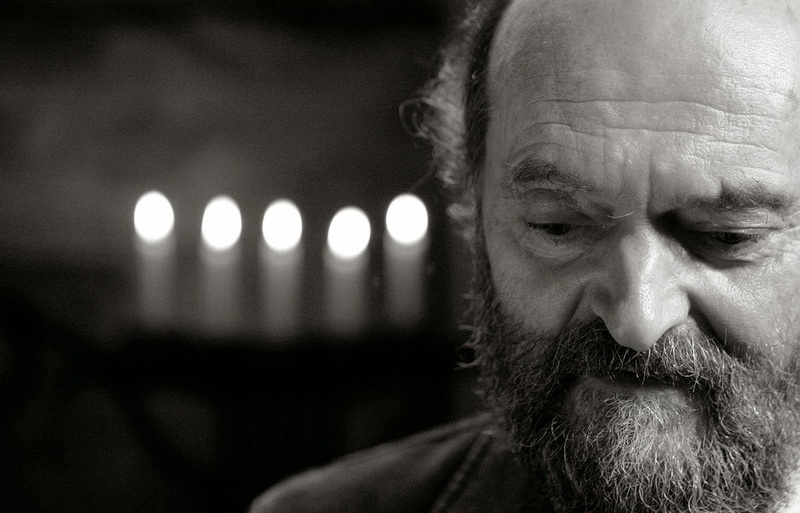 Pärt, who was once banned in Russia for being too spiritual, is the most performed contemporary composer in the world. Most of the 2,000 audience members at the Kennedy Center concert in DC gave roaring standing ovations. But some did not clap. And I wondered if like me, they had read the review and expected something different. More grace. More hope that acts of goodness can make a difference. If Pärt didn't write the Midwives music, who did? Although I was able to buy the piece, Psalm 121, from the Midwives album at Itunes, no information was provided about the background music. I'd like to strip it out and use it in my daily meditation. What is it? Who wrote it? WHERE CAN I GET MORE LIKE IT? If anyone knows, please contact me. Psalm 121 from the Midwives album can be purchased at iTunes or heard here. Samples of Pärt's music with annotated comments can be heard at the Washington Post review.